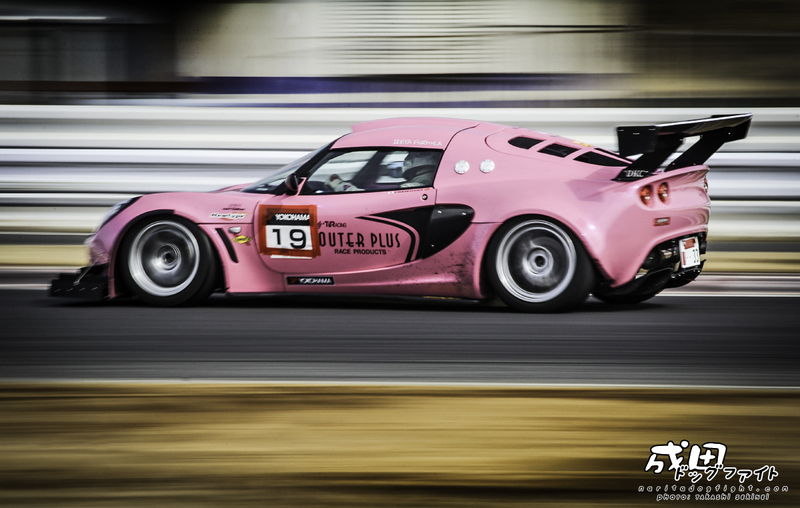 A profile you’ve more than likely been getting familiar with at Japan Attack events is that of the Lotus Exige. 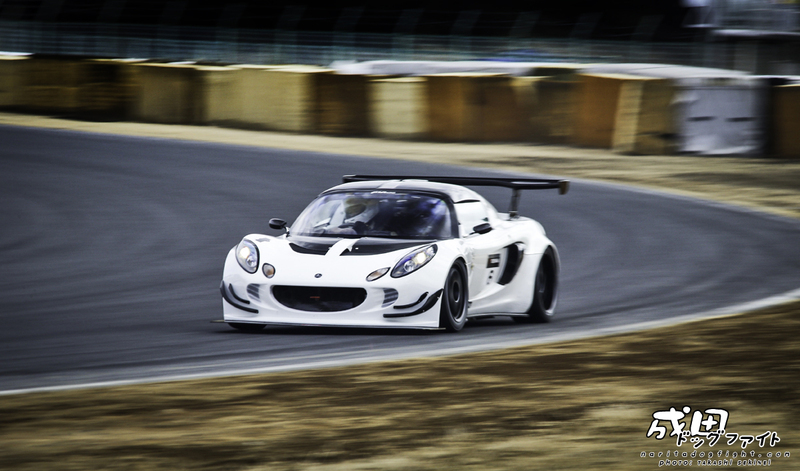 With a group of three or four enthusiasts competing in these very well built attack cars, we see a consistent level of racing that results in sub one-minute lap times time after time at TC2000. 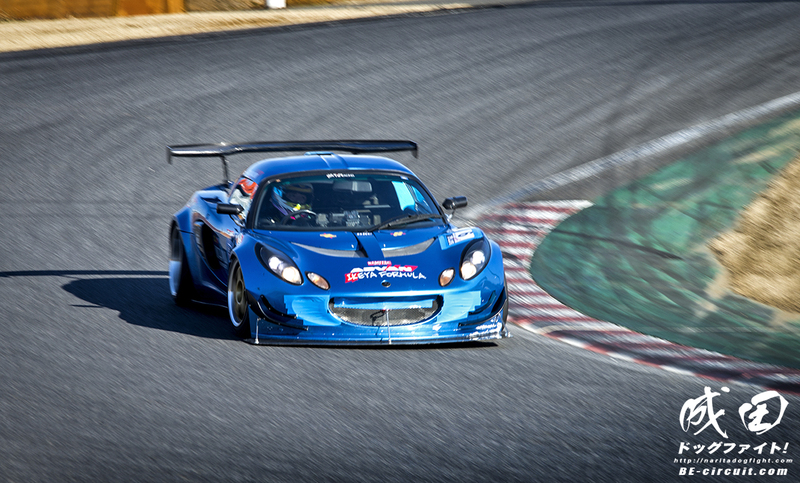 Last winter, this GH-1117 ran a very quick 58.396 at Tsukuba marking it’s best time to date. You’ll notice that they all wear the badge of ‘Outer Plus’. 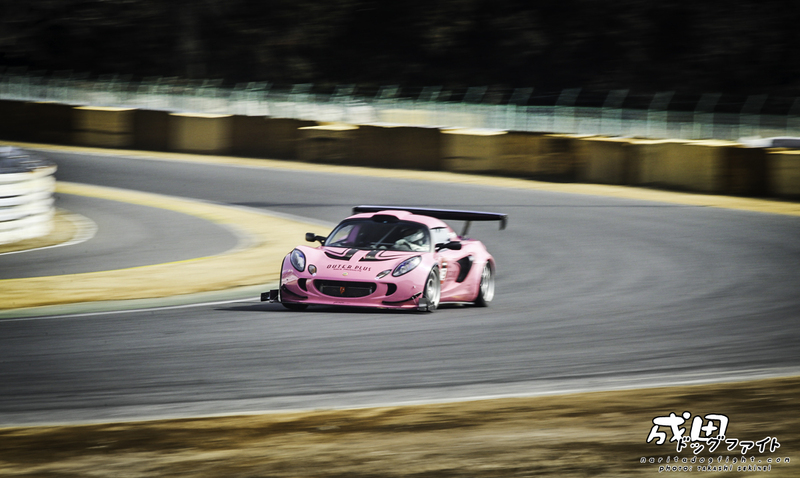 Since 1988, Outer Plus (based out of Chiba) is Japan’s premier Lotus tuning garages. 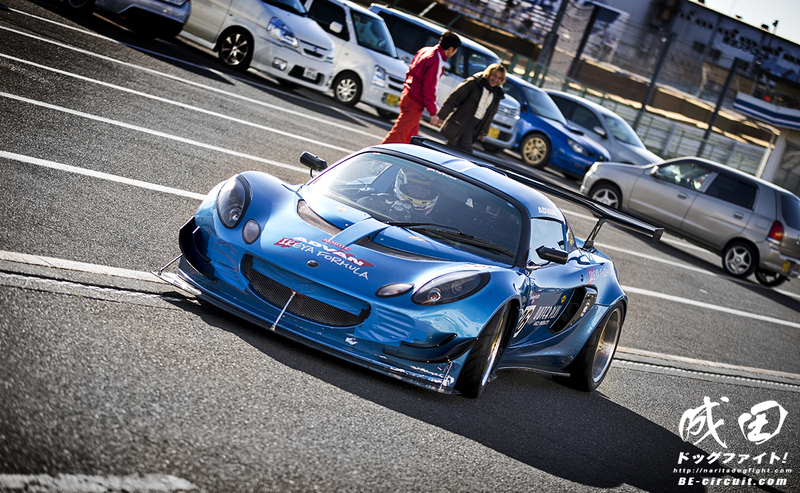 I would imagine that this type of car is quite a commodity in Japan, and OP is a very large part of a niche industry for the country. 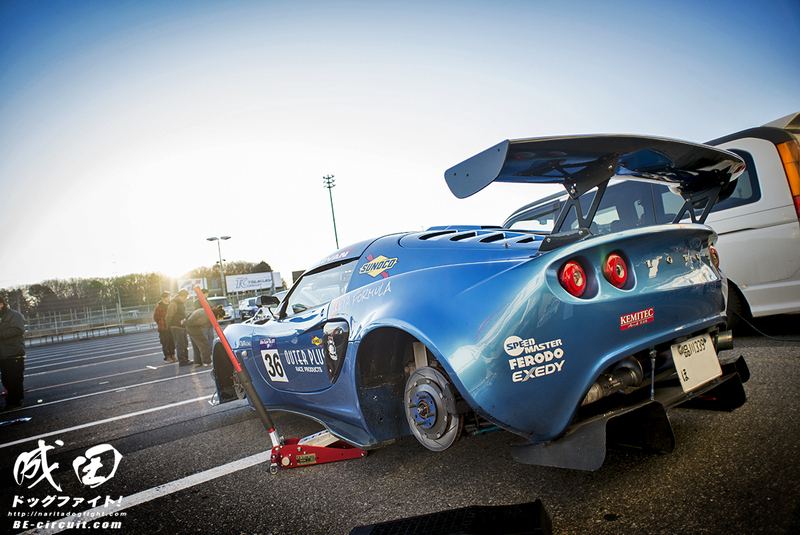 It’s really cool to see this European car modified in the inherently Japanese Attack style. It looks even better on track. 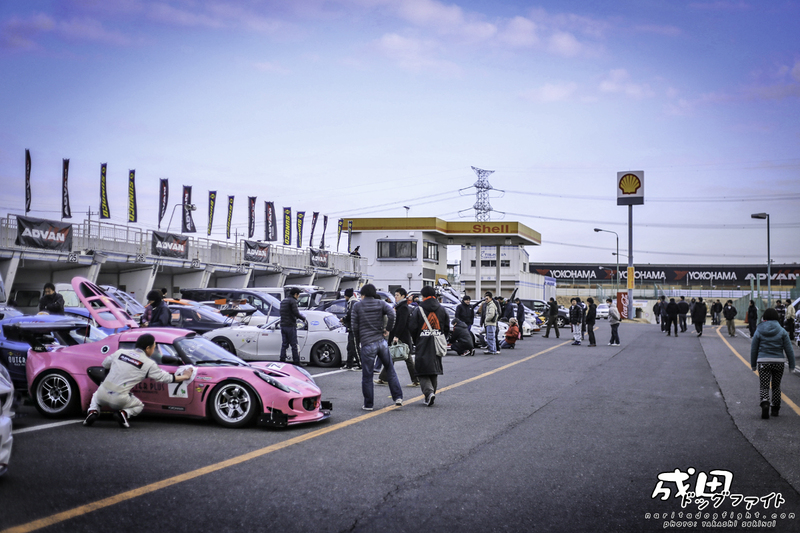 At the last Attack meet at Tsukuba we got to see a few more applications from this family of Lotus enthusiasts. A keen eye will notice they all wear the ‘DKC’ badge. Pretty neat to see the different takes on aero modification for the same platform. There are one of two others not pictured, but I’m sure I’ll see them around circuit sooner or later. Would love to revisit these at a later date with more information; as I’m not too familiar with the car. They must be very fast. are there 2 pink ones or are these photos from 2 different events/days? Oh, I see. The 7 is a permanent number plate, he was 19 for this event so he taped over it.